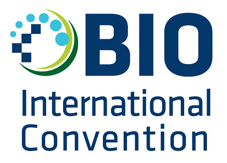 Paris, France and Cambridge, MA –May 16th, 2016–In an interactive session at BioInternational 2016, HiFiBiO, Adimab, F-Star and Innovative Targeting Solutions will join together to present next-generation therapeutic antibody technologies designed to help deliver the next wave of antibody therapeutics to the pipeline. Next generation antibody therapeutics require new approaches to discovery and new approaches to engineering to address tougher targets and increasingly complex indications. Building upon lessons learned from successes and failures of earlier generations, the next wave of antibody therapeutics strive to tackle a broad range of challenging targets and deliver longer lasting effects for a wider patient population often in combination with other drugs. This session will discuss the newest antibody technologies including strategies for single-cell deep mining of immune repertoires, bispecific antibody platforms, novel mammalian antibody engineering and immune-therapy approaches. The veteran panel of experts will discuss the expectations and challenges of the latest technologies and share insights on how to achieve the next big breakthrough in antibody development.